In February, Sade fans around the globe were rewarded for their years of anticipation, with the release of Soldier of Love, the Grammy-winning quartet’s first album in 10 years. All told, since the back-to-back 1984-85 releases of their hit debut album Diamond Life, which earned Sade a Best New Artist Grammy in 1986–and the follow-up Promise, the band has sold nearly 23 million albums in the U.S. and more than 50 million worldwide. Not surprisingly based on the group’s popularity with two generations of fans, Soldier Of Love debuted at #1 on the Billboard Top 200. The lead title track single debuted at #58 on the Billboard Hot 100, becoming the band’s highest debut on this chart. When that process leads to more concrete ideas for an actual studio project, Sade’s other members are happy to make the band a priority again. The call went out in 2008 for the group to re-convene at Peter Gabriel’s Real World studio, near Sade’s home in the countryside of south west England. It was the first time the four principals had met up since the Lover’s Rock Tour wrapped in 2001. Bassist Paul Denman de-camped from Los Angeles, where he had been managing his teenage son’s punk band, Orange. Guitarist and saxman Stuart Matthewman interrupted his film soundtrack work in New York, and keyboardist Andrew Hale gave up his A&R consultancy. Denman points out that because each member of the band lives on different continents and none brings any completed songs into the studio, the writing and recording process takes a long time. The album was completed in the summer of 2009, mainly at Real World. What became clear as the recording progressed was the way the music had moved away from the old country soul styling of Lover’s Rock and evolved with a more eclectic identity. At times, the band sounded like the original, early 80s version of Sade, with Matthewman back blowing soft sax on ‘In Another Time’ and the vocal on ‘Long Hard Road’ hymning. But with songs such as the quirky, high spirited reggae chant ‘Babyfather’ and the hypnotic, lushly arranged opener ‘The Moon and the Sky,’ Sade were exploring new territory. Sade, whose real name is Helen Folaside Adu, had no idea that she was destined for any sort of musical greatness when she was studying fashion at St. Martin’s School of Art in London, where she was raised by her mom along with her brother Banji after her parents split. While she had grown up listening to American soul music’and saw The Jackson 5 perform at the Rainbow Theatre in Finsbury Park’she only began singing after two old school friends with a fledgling group approached her to help them out with vocals. Two years after she discovered a knack for songwriting, Sade became the regular backup singer for the North London Latin Funk band Pride. For three years, she and the other seven members toured the UK, often with her driving. Pride’s shows featured a segment in which Sade fronted a quartet that played quieter, jazzier numbers. One of these, a Sade co-write called ‘Smooth Operator,’ attracted the attention of record company talent scouts. She got many offers but held out for 18 months until she could convince a label to also sign some of her band mates. Epic agreed to sign her, Matthewman, Hale and Denman, who collectively became known as Sade. 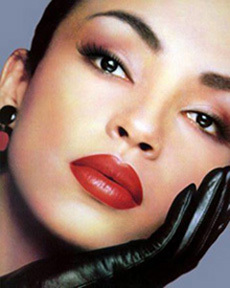 The group’s first single ‘Your Love Is King’ became a Top Ten UK hit in early 1984 and later that year ‘Smooth Operator’ became Sade’s first Top Ten hit in the U.S. and the band’s most successful international single. For most of the past 20 years, Sade has focused on her personal life over her professional career, releasing only three studio albums of new material. Her marriage to the Spanish film director Carlos Scola Pliego in 1989; the birth of her daughter in 1996 and her early 21st century move from North London to rural Gloucestershire, where she now lives with a new partner, have consumed much of her time, attention and joy. 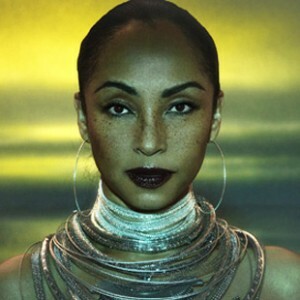 But Sade claims that she wouldn’t be the artist she is today without these experiences out of the limelight.